Blaze Shinozuka has two goals: get a job as a guitarist and lose his virginity. 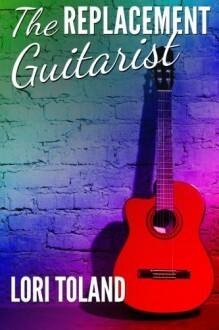 At an audition for a famous pop star, he draws the attention of celebrity manager Jason Stockton--and their instant attraction sends his world careening off its axis just as he is thrust into the gritty world of rock 'n' roll. Straight-laced music manager Jason Stockton is always professional and never dips his pen in the company ink. But there is something about Blaze that leaves him wanting what he shouldn't. The guitarist's exotic beauty and compelling innocence is a temptation Jason can't resist. After one lie in the national media pushes them apart, Blaze must decide whether he will trust Jason, a man he shouldn't touch, let alone love. The cutthroat, jealous world of rock 'n' roll, has chewed up and spit out the toughest musicians, and Blaze vows he will be the last man standing, even after the music stops. This gay romance contains very frequent love scenes, drug use and a very angry pop star dead set on coming between two men who will stop at nothing to be together. This book was previously released and has been edited and revised for the 2nd edition.